Over the last half-billion years, there have been five mass extinctions, when the diversity of life on earth suddenly and dramatically contracted. Scientists around the world are currently monitoring the sixth extinction, predicted to be the most devastating extinction event since the asteroid impact that wiped out the dinosaurs. This time around, the cataclysm is us. In prose that is at once frank, entertaining, and deeply informed, The New Yorker writer Elizabeth Kolbert tells us why and how human beings have altered life on the planet in a way no species has before. 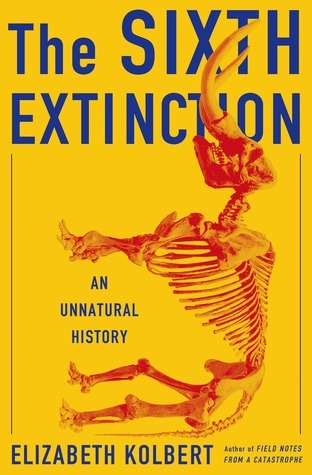 Interweaving research in half a dozen disciplines, descriptions of the fascinating species that have already been lost, and the history of extinction as a concept, Kolbert provides a moving and comprehensive account of the disappearances occurring before our very eyes. She shows that the sixth extinction is likely to be mankind's most lasting legacy, compelling us to rethink the fundamental question of what it means to be human. As I mentioned last week, I jumped into this book so that I could participate in Katie's Nonfiction Book Club September readalong, over at Doing Dewey. I'd heard about this book around its release last year, and was itching to read it--the subject sounded fascinating, and I loved Kolbert's previous book, Field Notes from a Catastrophe. While the overall intention and message of this book certainly held my attention, the organization and writing style did leave a bit to be desired. The different-species-for-each-chapter format could have been a home run, but the order in which Kolbert put them did not always seem to make sense, especially in the middle part of the book. This disrupted the flow of information significantly, and sometimes took away from her core points. It also didn't help that those middle chapters tended to be rather dry--so on top of disorganized information, it wasn't always the most stimulating. HOWEVER. I am glad that I didn't give this one up, because the last few chapters were excellent, and by the end I felt that Kolbert had brought everything together for me. I learned so much cool stuff (did you know BATS are going extinct? And frogs? TONS OF THEM! More every day! I had no idea. Also, sadly, the science behind Jurassic Park is totally not feasible...WHOMP WHOMP). One question that I kept asking myself throughout the book was, are human-caused species extinctions inherently bad? For example, let's say that humans killed off a species of bird back in the 1800's primarily because it was a source of food for them--is that something we should be vilified for? Especially if it was at a time when we did not have the scientific means that we do now to track and monitor a species? I'm not saying it's okay to kill off animals--poaching/trophy hunting, no good. And with the information we have now, there is no excuse for it when we have the means to assist endangered animals. But I just thought it raised an interesting question...because humans are animals too. We gotta eat, right? After spending much of the book mulling this over, Kolbert does finally address it a bit in the last chapter, noting that humans are likely causing the "sixth extinction" simply by existing as we do. By reading and writing and having complex thoughts, we are outgrowing the natural limits of this world, often in damaging ways. We don't always mean to. But we're doing it anyway. The question is, can we reverse any of the damage we've done? And if not...will we be able to survive it? While this book definitely requires an interest in the sciences (biology/ecology/geology especially), and some patience with the chapter formatting, I think it is an excellent read to get your wheels turning and take a closer look at the everyday impact that we, as humans, have on the world around us. Join Katie & crew for the next Nonfiction Book Club readalong in October: Devil in the White City by Erik Larson! Oooh - I love books with good random facts...had no idea that frogs and bats were going extinct! 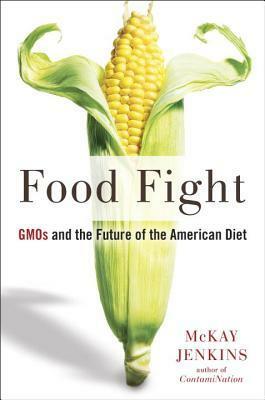 Next month's selection is awesome - one of my all-time favorite nonfiction books. I have had a copy of the Larson book for years now...I'm hoping this will be my motivation to get on it! Great review! This was the first book of Kolbert's that I read and while I also felt the organization and excitement factor could have been a bit better, it was good enough I'd give her another chance. The material wa so worthwhile and also really fascinating! It left me wanting to read so much more about frogs after hearing about all the crazy, interesting species out there. I think your distinction between extinctions that people cause while procuring food vs those we cause while killing things for fun is really important. It makes me think about whether extinctions we're causing now are the result of necessary activity and which are the results of things we could give up. Definitely a good point there about necessary activity vs things we could give up. We've build our society to a point where certain industrial practices are mandatory for our survival (food production, utilities etc) and changes to those systems involve a lot more than just finding another way to do it. Haha! We must miss the same parties! :) This book will FILL you with those fun facts for sure. 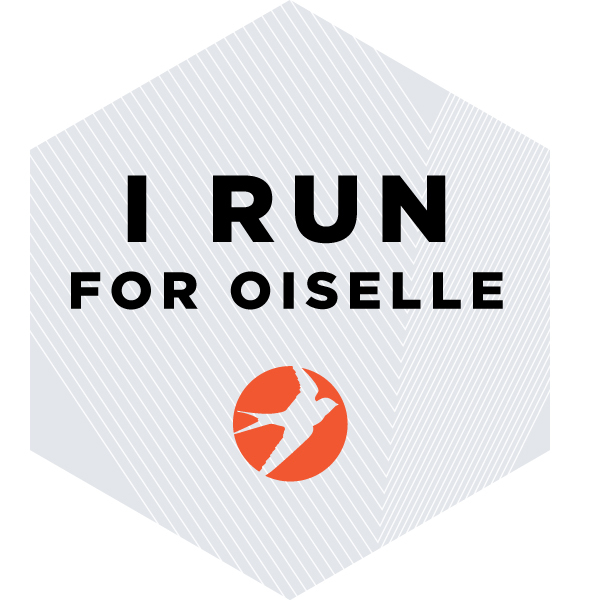 The Well-Read Runner needs your help!